Iconic Robert Mitchum does double duty here as both the star of this south of the border western and the film’s executive producer. Along for the ride is director Robert Parrish who had already filmed Mitch in Fire Down Below. Now fill out the cast with two of Mitchum’s long time pals Anthony Caruso and Charles McGraw and we have a watchable yet far from typical western from this period of the genre. 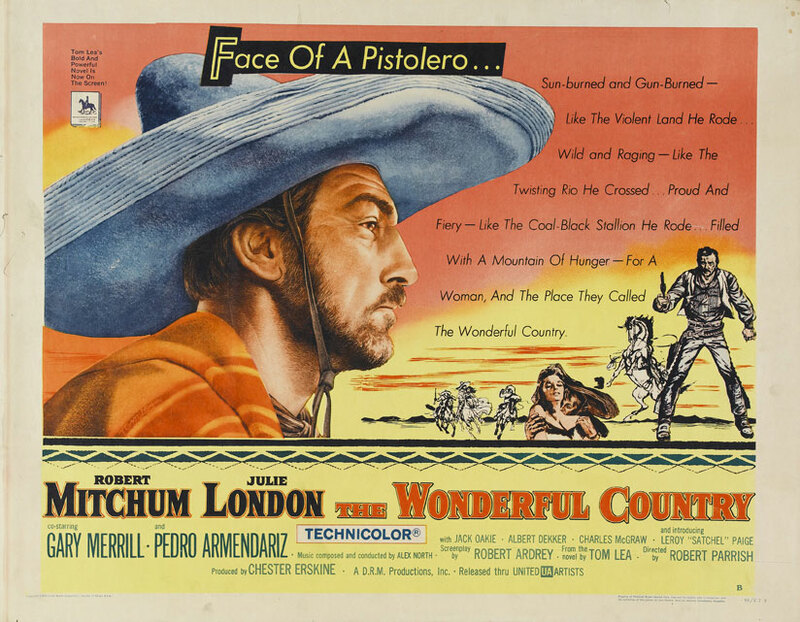 Adapting a slight Mexican accent at times, Mitchum plays a man with a past living south of the Rio Grande involved in running guns for the current regime in control of the ever changing struggles for power in Mexico. When Mitch wanders north with a wagon load of guns he suffers a nasty fall resulting in a broken leg placing him at the mercy of Doc Charles McGraw to rest and mend. While the guns go missing, our leading man discovers the charms of Julie London. Problem is, she’s married to the local military Captain played by Gary Merrill. It’s Albert Dekker who recognizes Mitch from years past and tells of the crime he committed forcing him to flee south. It isn’t long afterwards that Mitchum once again finds himself cornered into a gunfight in a very smooth bit of camera work that stands out when Mitch pulls and fires his revolver. Once again he flees south to the comfort of old friend and wonderful character actor Jay Novello. Problem is the Mexican military holds him responsible for the missing gun shipment. 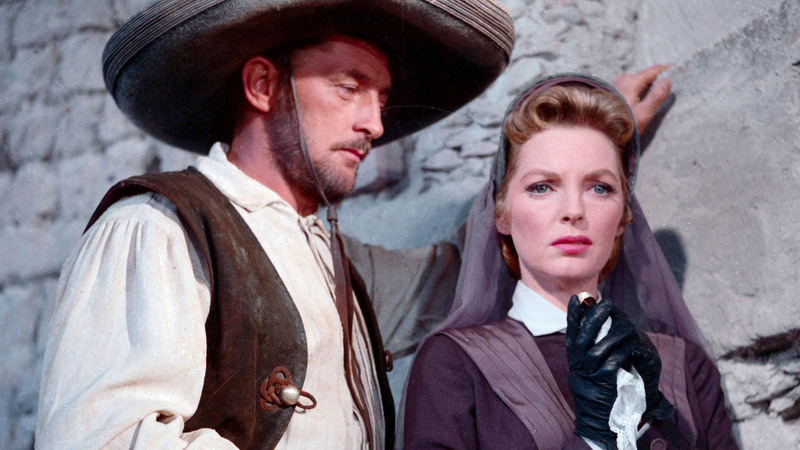 Before the final fade out Mitchum will find himself in deep water with the Mexican Governor and his brother the General, Apaches, assassination plots and Julie London. 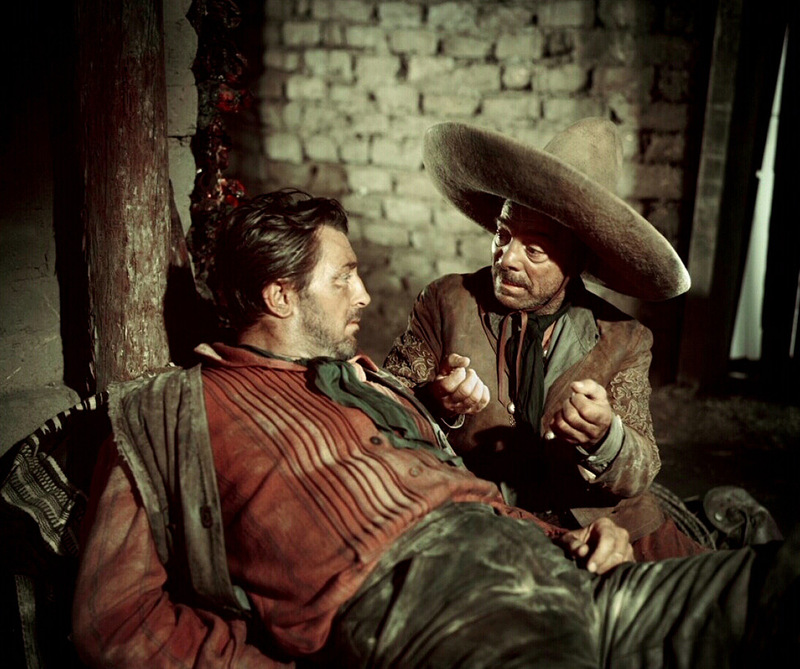 Along the way he’ll bump into John Banner of Hogan’s Heroes fame and Anthony Caruso as a kindly Mexican farmer who lends support when Mitchum finds himself a wanted man on both sides of the Rio Grande. While one could argue Mitchum always displays a low key acting style this time it matches the film perfectly as it’s a slow moving script. It sways into a Sam Peckinpah(ish) subject matter with it’s south of the border locations mixed with gun running and a somewhat shady group of men in power. 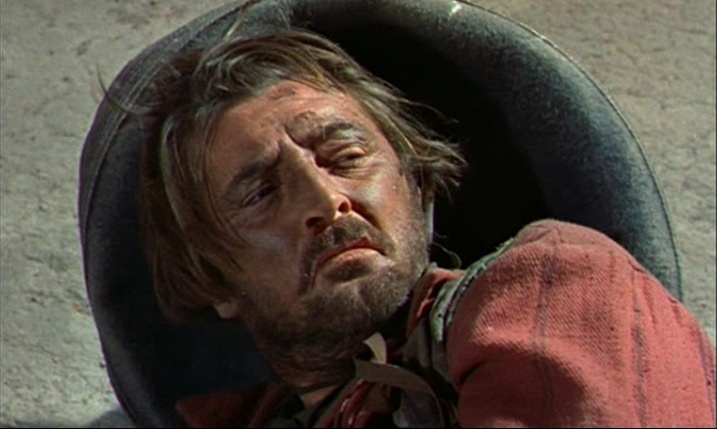 Robert Mitchum would actually play a similar character in the Peckinpah scripted Villa Rides in 1968. On the funny side of things I had the chance to watch this with my father who is visiting from the east coast. Our tag team of comments caused me to pause and get a good chuckle on reflection. 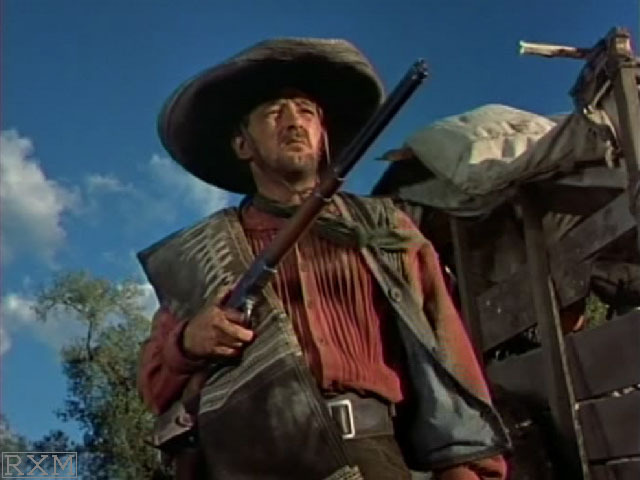 At one point in the film Mitchum lines up an Apache warrior in his sights and fires. The warrior falls and I say “hell of a shot.” My Dad chimes in, “Mitch always was a good shot with the long gun.” I still love being able to have that ability to play off each other after all these years while watching a western with my Dad who of course is where I inherited my love of the genre in the first place. Wonderful Country isn’t bad it’s just that it’s not all that exciting. From what I’ve read it sounds like the real excitement was to be hanging around the set with Mitchum and company in and around Durango on location. If only the camera had captured these notorious hell raisers behind the scenes! This Robert Parrish western turns up occasionally on TCM and is also available through the MGM MOD Limited Edition Collection via TCM. I really love this film and think Mitchum did some of his very best work in it. There was an absolutely mammoth thread which developed out of the Blu-ray announcement for the movie over at Toby’s 50s westerns site, of course that spun off in all sorts of directions. Love that bit about the running commentary from yourself and your dad, a very cool way to enjoy the movies.